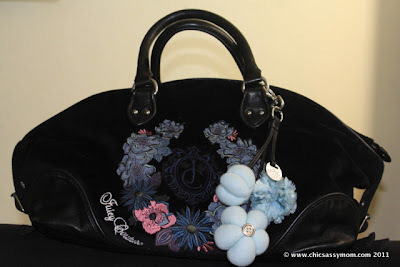 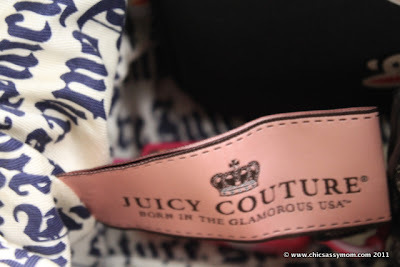 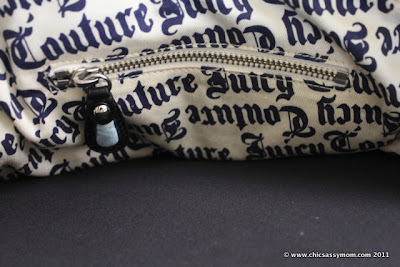 Juicy Couture Royal Botanical Velour Bag YHRU2289 (MSRP $198) features gorgeous garland of flowers, a zip top closure, leather trim handles, and piping along the bottom of bag, metallic hardware and cotton twill logo print lining. 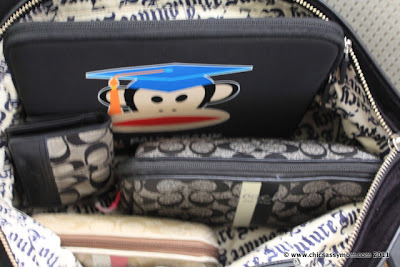 I love it more than ever because it's very roomy...can fit 2 Coach Pouches, wallet, and an iPad even. 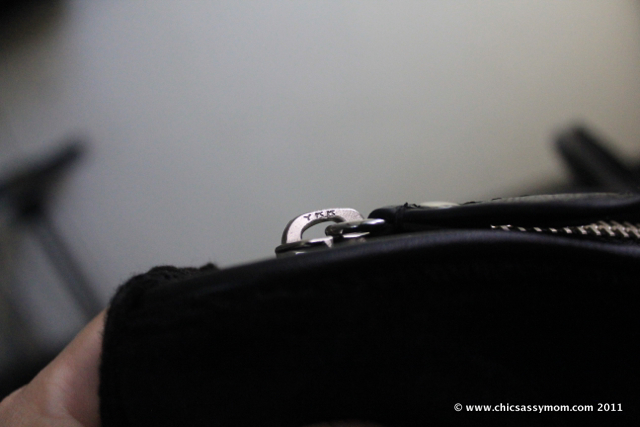 Anyhow, I wanted to document the ins and outs of the bag as a guide to distinguish the copies. 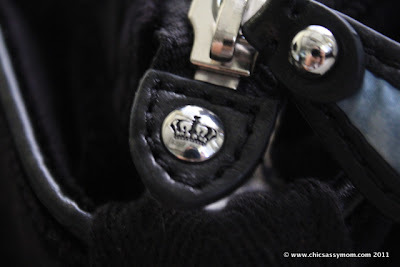 As most "original" brands, it comes with a YKK solid zipper. 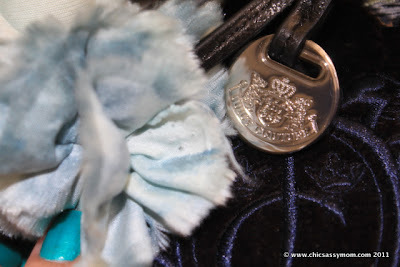 More details/branding on the detachable floral and pompoms fob charms.